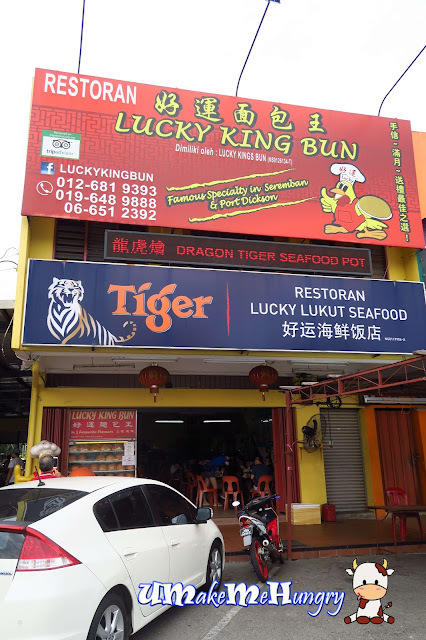 Was recommended by a friend to this Lucky King Bun in a quiet town of Lukut, Port Dickson. Lucky King Bun is situated at one corner of the shop house, popular for its Pork Ribs & Chicken Curry Bun. If you have been to Seremban, this speciality is also famous there. 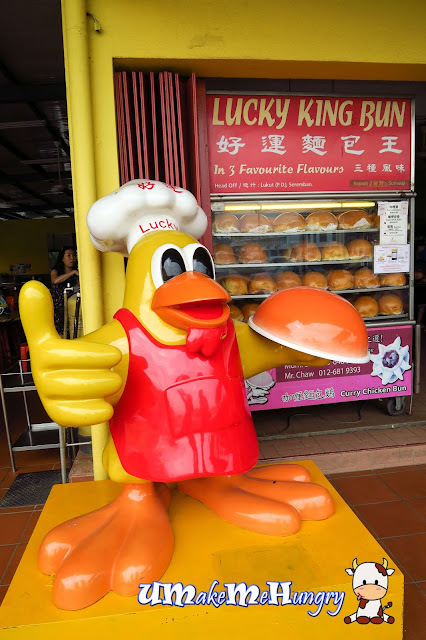 The shop is easily identified by the chicken mascot in front of the shop and with a simple glass cabinet displaying big buns. These buns were attractive in its shiny golden brown thin crust. If you are afraid that the curry might be spicy, you may want to prepare yourself by ordering some drinks first. 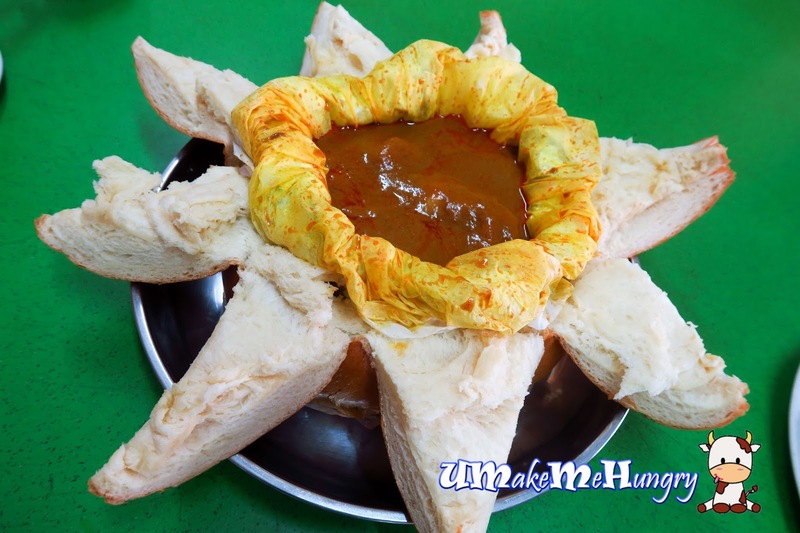 Bun is being cut into flower like "petals" using their signature cutting method, revealing the packet of curry in between. Diners can choose to have chicken or pork ribs curry. However, if you want to have both of it, they do offer such combination too. Buns are freshly make and baked daily. Best consumption period is within 4 hours. The bread is pillow soft and fluffy. It has a sweet taste that you can actually eat it on its own. However who will resist such delicious tasty thick curry that lays in front. Enjoy the meal to the fullest by dipping the bread into the aromatic curry that give u a bursting flavour. Portion is quite big and best to share with at least 3 pax or more. Looking at most tables, its hard just to order curry bun alone. Each of the table do order some sides. For us we had some greens to go with. Crunchy and not too oily. We had ordered other other side dishes like their soup lala. 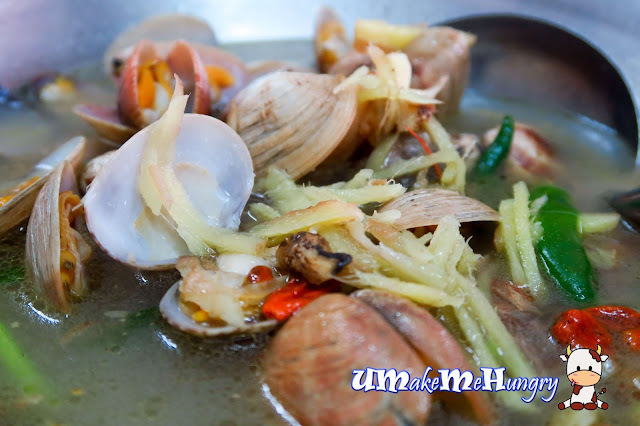 Lala were freshly cooked and soaked up in tasty broth. 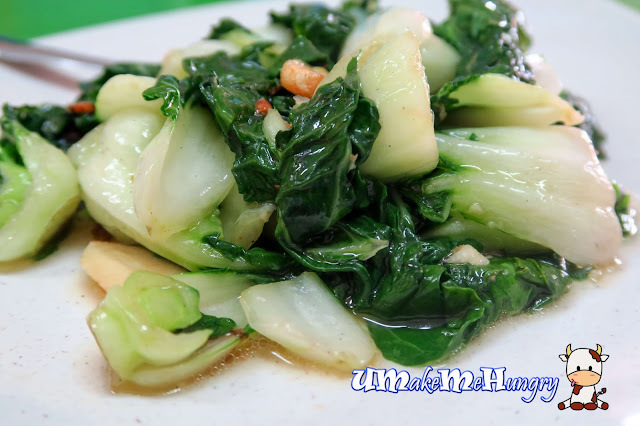 Naturally sweet from the seafood and taste were perked up by the use of ginger and green chilli padi, adding on a little spiciness in between. 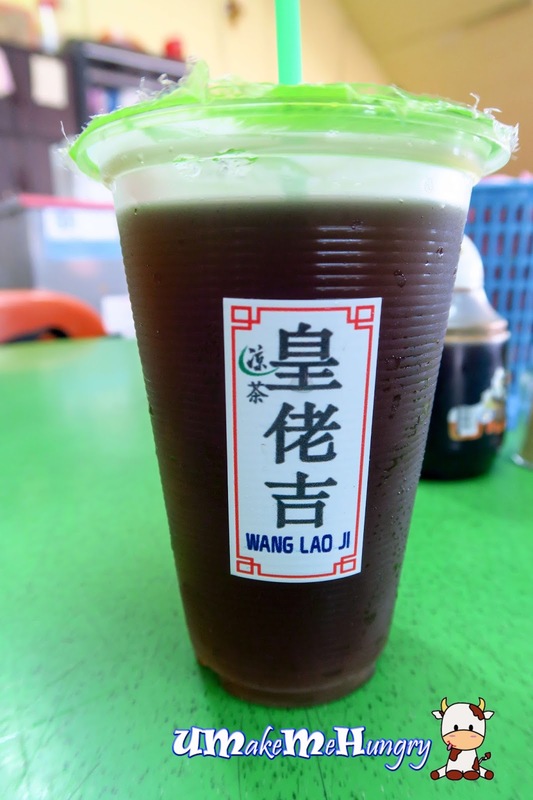 The popularity of Lucky King Bun is evident and the coffeeshop is fully packed as soon as we dined in. 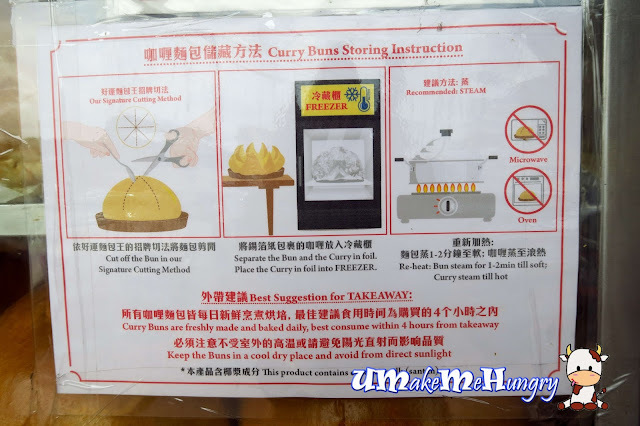 For those who are taking away the buns, it is best to follow their instructions to keep the buns in a cool and dry place, avoiding direct sunlight. Service was ordinary but they were quick to serve.